At CUSI, we understand the importance of accurate, reliable, quality technical support. CUSI’s Technical Support team is here to help you answer any questions in a timely manner. 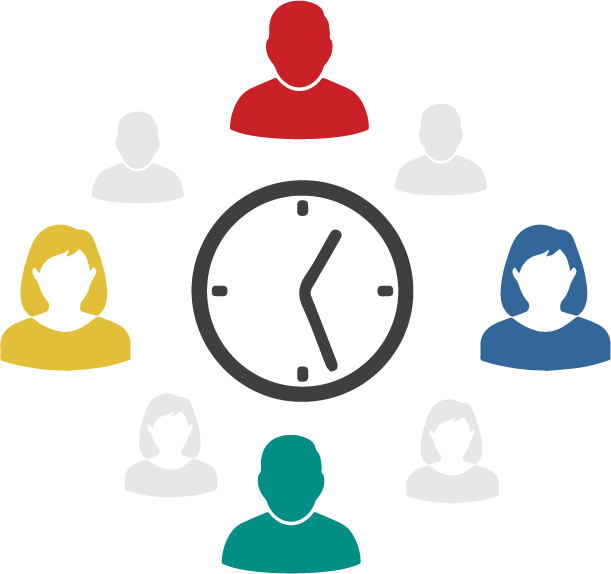 The CUSI Technical Support team strives to respond to client requests in under an hour, if not immediately. Skills-based call routing ensures you are speaking to the analyst that is best suited to answer your questions or resolve your issues. As a result, our clients typically have the quickest resolutions in the industry. Our extremely knowledgeable Technical Support team is trained to solve your issues efficiently and they are always happy to do so! 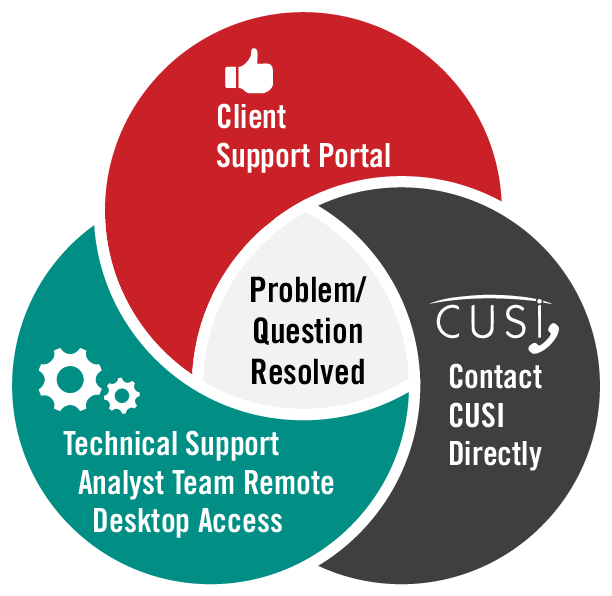 There are a variety of ways clients can utilize CUSI’s support services- from self-service, to phone support, to remote desktop access. 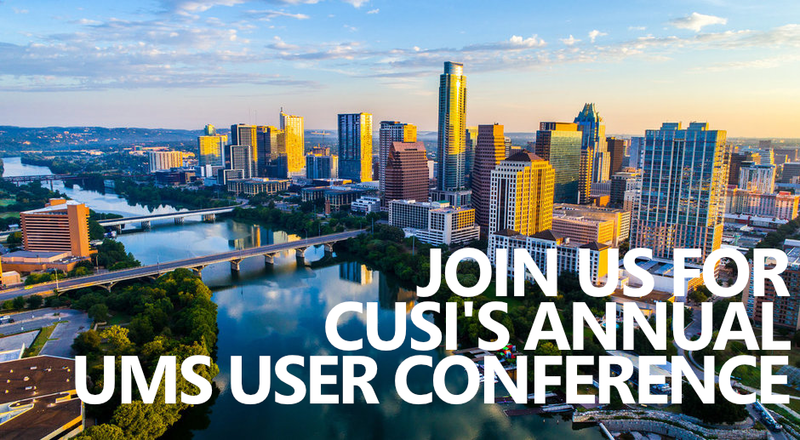 CUSI’s attended technical support line, automated fax line, and email service, allow clients to access the Technical Support Analyst TEAM in the way they see fit. If you are experiencing an issue or need help, our Technical Support Team can use remote desktop access to better assist you in resolving your issue. At CUSI we make ourselves accountable for our performance to our management and our customers. 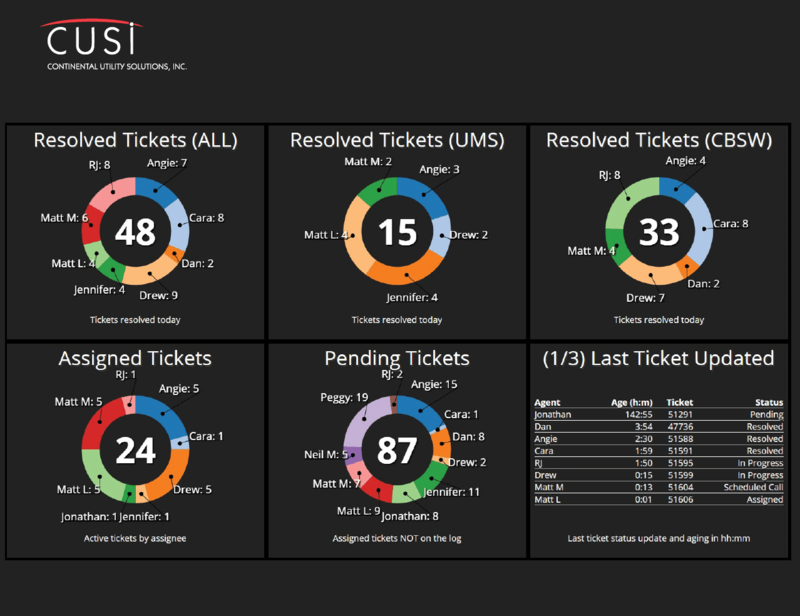 We utilize real time dashboards to track how we are doing in meeting your expectations. If you need help, we make sure you get the answers you need quickly. Assistance with Upgrades – When your utility billing software needs to be upgraded, our team will assist you to ensure that the process goes smoothly. Customization – If you find that you need additional programming for your applications, we can help with submitting enhancement requests to ensure that all of your needs are met. Training – We host in-house training to make sure that you and your employees are kept informed of all the tools available in your system. Follow-Up – We frequently call throughout the year to make sure you are getting the most from our products. Access to Performance Data – Don’t just take our word for it! 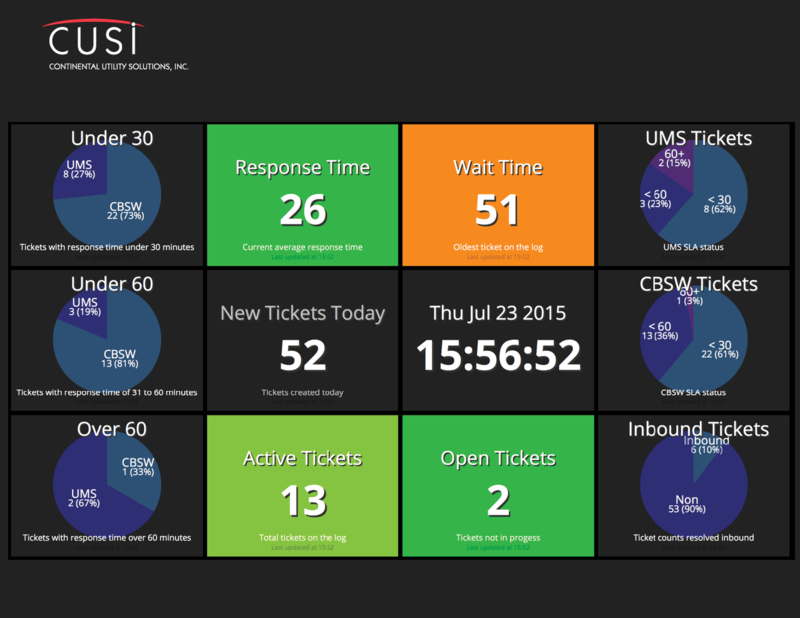 Every time you log in to our client support portal, you will see real time statistics on how our support team is serving our customers just like you.